To wrap up Season 3, we’re talking about education law with the outgoing OBA Section Chair, Tom McRae. 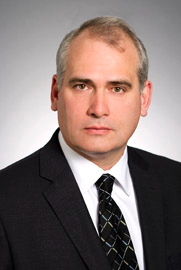 Tom McRae is a partner with Shibley Righton LLP in Toronto. Shibley Righton LLP is recognized as one of the leading firms in the Province of Ontario representing school boards and educator organizations in respect of all legal matters that affect them. Tom enjoys a broadly-based litigation practice, before all levels of courts in Ontario, as well as the Tax Court of Canada, the Federal Court of Canada and the Supreme Court of Canada. Tom also represents his clients in mediations, arbitrations and before a wide range of administrative tribunals and at professional disciplinary hearings. His practice includes matters of commercial litigation, administrative law, bankruptcy and insolvency, estate litigation, tax litigation and employment litigation. He is also the outgoing chair of the education section of the Ontario Bar Association.